Police say this individual broke into Avenue O Synagogue and took Torah scrolls on October 25, 2016 (NYPD). Brooklyn, NY - Two months after four sifrei Torah were stolen from a Midwood synagogue and then mysteriously returned just days later, the man responsible for the theft has turned himself into authorities. As previously reported on VIN News (http://bit.ly/2fe7joT), the Torahs were stolen from the Avenue O Synagogue on Simchas Torah night, leaving heartbroken congregants to discover the loss when they arrived for services the next morning. The Torahs, which were housed in sterling silver cases, were valued at $240,000 and were left outside the synagogue several days later by an unidentified man. 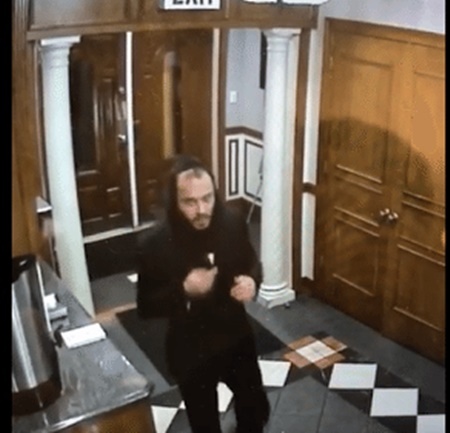 Clear surveillance footage in the synagogue led police to 35 year old Emil Benjamin and the NYPD turned to the public for help in locating Benjamin’s whereabouts. The New York Post reported that Benjamin has a history of prior arrests and that he had been hiding from both police and federal marshals for over a month. Benjamin turned himself into police and the New York/New Jersey Regional Fugitive Task Force this morning accompanied by his lawyer. Benjamin previously made headlines in 2011 when he was stabbed while riding on a subway train in Brooklyn in what appears to have been an anti-Semitic attack. At the time Benjamin said that he felt he had it been a simple fistfight he might have been able to fight off his attackers, but that violence should always be avoided. 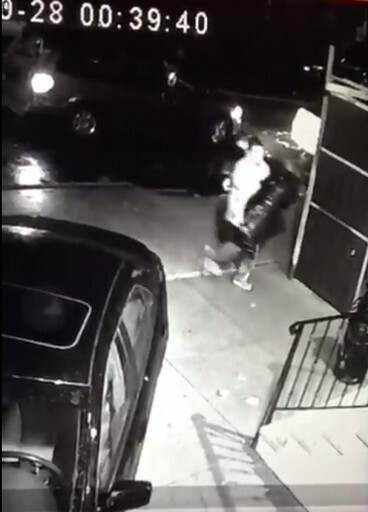 Security surveillance footage shows a man double-parked and placing the four bags containing the Sifrei Torah outside the Shul. He couldn't find a fence for the Torah. I assume he has some mental health issues.